How can I get my authentication token and start making calls to the API? Can I run tests or send test calls to the API before starting to code? Can I get a test access token? Can I create new projects using the API? How should I do it? How do I create a new task list in an existing project? How do I delete elements from an account? How do I start to build an integration? How do I setup the Zendesk integration? Can I create my own integrations? How can I calculate the time spent in a task, a task list or a project? Do you have a sample Ruby application built on top of Redbooth’s API? Do you provide a ruby authentication strategy? If you want to know more about the authentication process check our Authentication page. With the console you will be able to explore how the API works, which are the parameters to be used in each endpoint and how easy is to interact with your data! *Remember to name your task_list and to write the id of the project in which you want to post it! If you want to delete elements from an account you will have to use the DELETE verb of the endpoint in which you want to do it. Be careful! With the API you won’t have the security messages that you normally see in the web app or other devices. If you delete a project you won’t be asked if you’re sure about it. Notice that you only need to write the element’s id in the url. 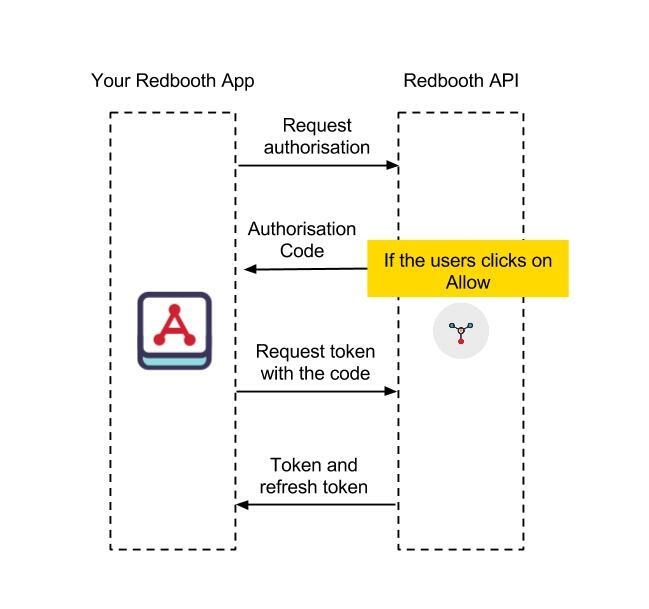 We want to create an app that enables us to create tasks in Redbooth from another platform and keep track of their status on both platforms. This app should be able to do four actions: create, get, update and delete tasks. The second step would be checking which endpoints of both platforms are concerned. If we focus on the Redbooth side, in this case we should use the tasks endpoint and its four verbs: post, get, put, delete. The console is the best place to do some tests. On the other hand, we would probably benefit form another feature of the API: Web Hooks. In this article from our Help Center you will learn to setup the Zendesk integration step by step. One of the purposes of the Platform Portal is to enable Redbooth’s users to adapt their collaboration platform to the needs they meet on their day to day. You can create your own integrations via an integration provider or coding them! Check the code snippets. Time tracking is always related to comments. In order to know the time that we have spent in a task, task list or project, we will have to get all the comments of the task, tasks of the task list or tasks of the project. The same thing will happen if we want to get the time that a specific user invested in a specific project or task list, or during a determined period of time. We will always have to get the tasks filtered customly and then the comments of those tasks. Does Redbooth’s Platform Portal have a FAQ section? Yes, you’re welcomed. If you didn’t find what you were looking for you can check our Help Center. Yes, we invite you to take a look at the Redbooth punch card. Yes! Here’s the redbooth-ominauth: https://github.com/teambox/omniauth-redbooth/tree/master/lib. 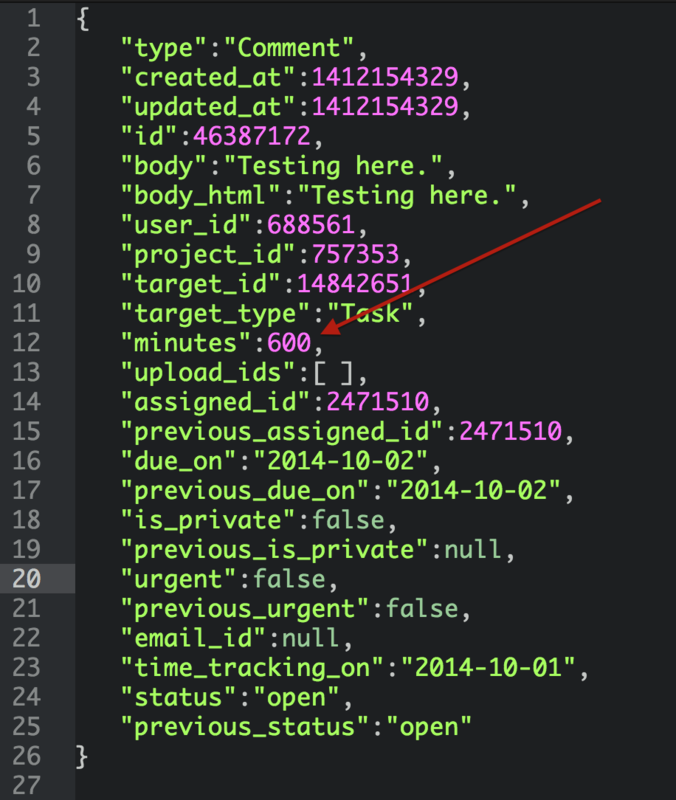 If you are working on a ruby application, we recommend you add the redbooth-omniauth gem to your gemfile. 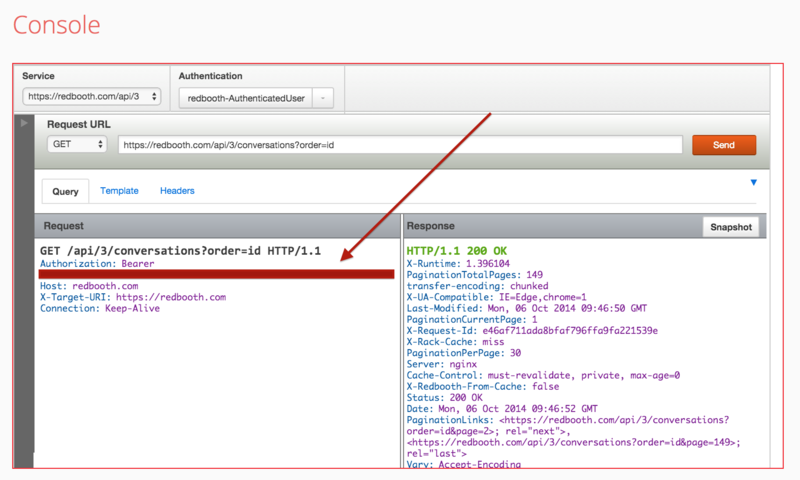 Working with OAuth2 had never been easier?.